Whether you are canning for your first time or in your 50th year of canning; all the Videos and DVDs and recipes you need are here, and at the best prices you'll find anywhere. Everything All can be shipped by a variety of methods, including overnight, if you have a canning emergency! 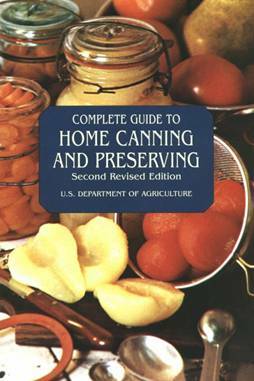 Note : In response to requests for canning products and Videos and DVDs, I've added this page, and I've found reliable suppliers for the products here. I appreciate your business- buying the products here helps support the website! Kendra Lynn's dvd is an easy-follow video with canning basics, safety, and how-to's that cover all areas: apple jelly and applesauce, Blueberry Pie Filling, Grape Juice, Spaghetti Sauce, Green Beans, Dried Beans, Ground Beef, Chicken, Chile Con Carne, Chicken Soup, Beef Stew. She covers water bath canning and pressure canning. 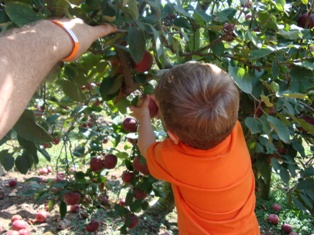 Plus, canning outdoors on a propane stove. 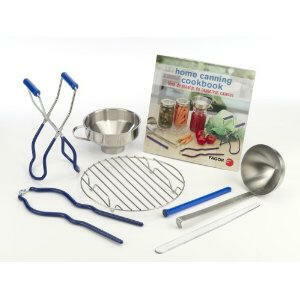 Features Tattler Reusable Canning Lids. It certainly doesn't hurt that Kendra has a clear voice and style! To read customer reviews on Amazon, for more information or to order, click on the Amazon box at left. by United States Dept. of Agriculture - These guys ARE the authority on processing times for safety! The Kerr book is another long time favorite! 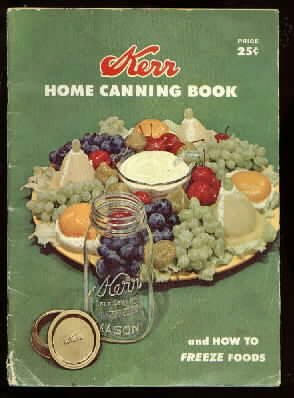 Most people grew up with either the Ball Blue Book or the Kerr Home Canning Book on their mother's cookbook shelf! There are two versions of the book - check out both to see which is currently available. Click on the link at left to see more information and how to order it through Amazon.com for the best price! 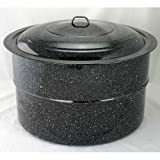 This is the same 33 qt (total volume) type of standard canner that my grandmother used to make everything from applesauce to jams and jellies to tomato and spaghetti sauce. This complete kit includes everything you need: the canner, jar rack, jar grabber tongs, lid lifting wand, a plastic funnel, labels, bubble freer, and the bible of canning, the Ball Blue Book. You'll never need anything else except more jars and lids! 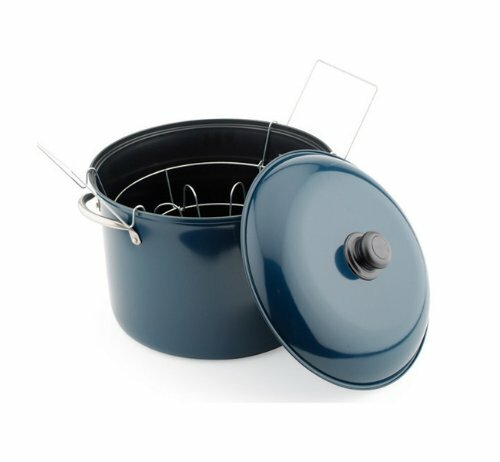 If you want only the canner, without the Ball Blue Book, tongs, lid lifter, jar funnel and other supplies, click at left for more information! If you have a glass or ceramic stove top, then flat bottomed canners are generally recommended. Here's a good value on at 21 Quart (total volume) one!